Ken Settepani, age 46, is a former US IT Manager from Herndon, Virginia. This freelance coach, trainer and nutrition planner is a soon-to-be store owner and currently resides in Herndon, Virginia. 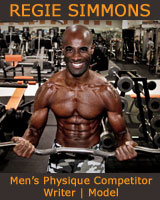 Let’s learn more about this Men’s Physique competitor! Congrats on a great showing! What made you decide to compete in the Men’s Physique Division? I had been training for many years and had always contemplated entering a natural bodybuilding show but never thought I would look big enough as a bodybuilder. The Physique division was the perfect fit for me because I didn’t need as much size. Can you tell us a little about the show in which you most recently competed? I recently competed in the Pittsburgh Pro. It was a lot of fun and a well-run show. I didn’t do as well as I had hoped but it was a great experience and I was able to learn a little more about the level I am competing on and I will bring that to my next show. How did you feel after pre-judging? I felt like I could have come in better condition and if I had, I would have done a little better. How did you feel about the final results of the show? The finals went as expected. I figured Mark Anthony would take first at this one like he did last year. I thought Jason Poston and Michael Anderson could have won as well based on how they looked. I think the judges have it tough in this division. All three guys looked amazing. What are your thoughts on the Men's Physique Division and what it may be able to do for your career? I really like the Men’s Physique division and what it offers to the general public that weight trains. I know many people young and old that would never consider competing in bodybuilding but are game to throw on a pair of board shorts and compete. You can compete at the local level with an athletic build and do pretty well. It seems to appeal to a lot of people and is good for the NPC and IFBB. As for me, I just switched careers. 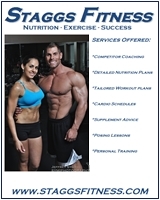 I spent 18 years in the IT industry and now I am full-time coaching, nutrition planning and I am currently in the process of locating property to open a sports supplement store. Being an IFBB Pro Physique athlete helps with credibility as far as coaching, nutrition and supplement advice. Years training: 28 years with a long break in my thirties. Education: College 4 years and job related Engineering Certifications, Personal Training Certification, Fitness Nutrition Specialist Certification. Favorite type of training: High intensity, shorter rest periods, some supersets. Off Season I train everything twice a week and rest on Sundays. I train abs 3 times a week. Favorite supplement: During prep, I rely on pre-workout and BCAA supplements to get me through great workouts on low calories. My favorites are Scivation BCAAs and Cellucor C4 preworkout. What peaked your interest in training? I was a young kid when I got my first DP sand weight set lol. I think I was 12 and I looked up to muscular teenagers and wanted to get big. In high school workouts became pretty serious as they were part of our football regimen during season and off season. When I was younger I used to read all the magazines and look up to Arnold, Frank Zane and basically that whole group in Pumping Iron. When I got back into lifting later in life I started studying a lot about nutrition, cutting and bulking cycles. I really started looking at what the natural pro bodybuilders did to attain their physiques and implemented a lot of their training and nutrition techniques to my own program. I followed Layne Norton, Lyle McDonald and Alan Aragon among others. Sports: I played soccer, baseball growing up as a kid and played varsity football in high school for 3 years. Special interests: Fitness is my hobby and passion. I am now making it my career. Overall winner at my first show. Earned pro card at my 3rd show. Masters Pro in Pittsburgh at the end of August. What keeps you on track towards reaching your goals? It’s the challenge to better myself from the last competition. I always feel I can bring something better to stage the next time I compete. It drives me to go outside my comfort zone to try and meet that goal. What is an Interesting fact or something you would like our readers to know about you?